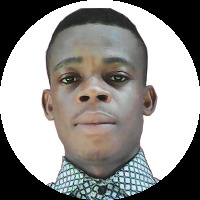 My name is Anyanwu Joseph. I am 22 years old, the last son of my parents. After my Graduation from High School in 2014, due to poor background I was employed as a lawn mower at Mike’s football Stadium. I got myself registered and graduated from Unique Digital Photo School as a professional photographer. I went for a computer training at Jackson Global Computer Training Institute. I got my diploma with six months IT training. Currently now, I teach and offer computer services, photographing service, home compound cleaning services, Car washing services and I also go out to attend seminars, training, and life workshops.